If you are riding either of the adventurous Trans Cambrian routes to the coast Self Guided or Guided, then your final evening out on trail will be spent at the White Lion in Talybont. Here you are in the county of Ceredigion where Welsh is the spoken language used in shops, offices and pubs – but everyone also speaks English, so no need to pack a phrase book. 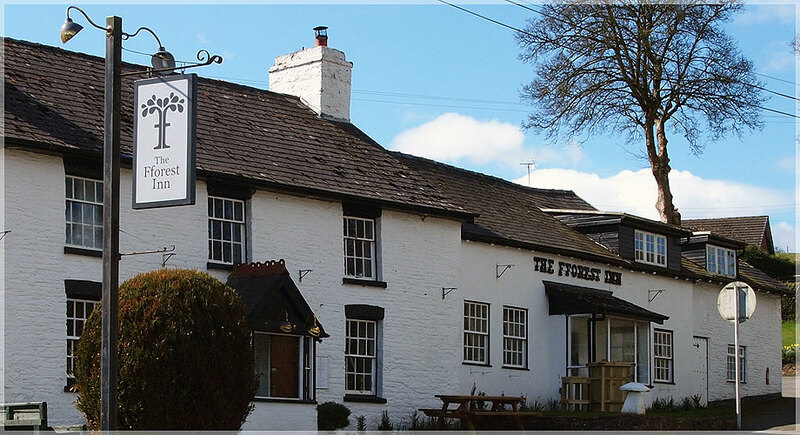 The White Lion or Llew Gwyn is a thriving local pub with rooms, which overlooks the ancient village green. Here one can expect a warm welcome, tasty pub food and a good selection of wines and local ales. There is an original slate flagged floor in the bar area and metal hooks can be spotted in the ceiling giving away the origins of the building as a butcher’s shop. Next door is Gwesty’r Llew Du, the Black Lion Hotel. At over 160 years old this building is a 19th Century Grade II listed Coaching Inn. It was formerly a farmhouse before becoming the first public house in the village in 1851. Your Freerein steeds spend the evening munching on the lush grass of the Black Lion’s old fields, also home to Talybont’s agricultural show. Currently functioning as a bar and restaurant, the rooms here are undergoing refurbishment and as such accommodation is presently not offered. Talybont is a sizable village stretching along the main road that runs from Aberystwth to Machynlleth. There are many old silver and lead mines and woollen mills surrounding the village. A hearty Welsh breakfast at Y Llew Gwyn is to be followed by a gentle ride along quiet lanes to the coast, then a canter or two along the sands to Ynyslas – and it’s all aboard the equibus for the journey back to Freerein HQ for a well earned pot of tea/coffee and homemade cake.